ORP 5070 MP is a redispersible powder produced by drying an emulsion of Vinyl Acetate / VeoVa copolymer with PVOH as protective colloid. The specific chemical composition of the polymer allows coalescence of the redispersed polymer at low temperatures and provides good adhesion to cementitious substrates. ORP 5070 MP is used to modify mixtures containing hydraulic binders. Due to its particular chemical / physical composition, ORP 5070 MP improves adhesion, flexibility and water resistance of mortars containing hydraulic binders such as cement, gypsum or lime. 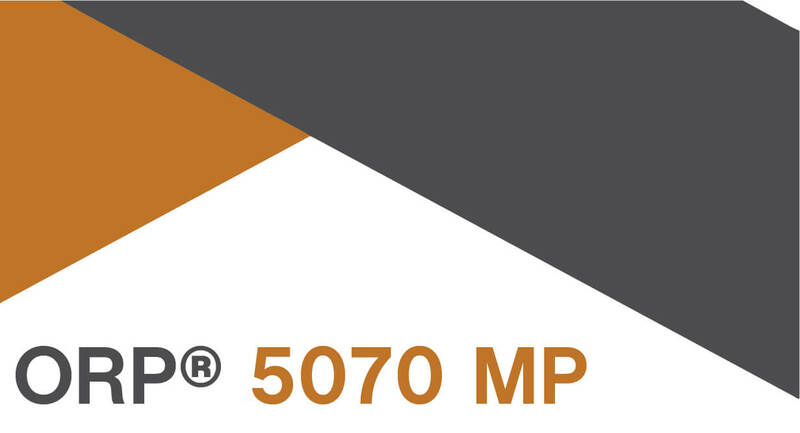 Especially after heat aging and water immersion conditions ORP 5070 MP provides excellent performance. ORP 6072 MP is a redispersible powder produced by drying an emulsion of Vinyl Acetate / VeoVa / Acrylic terpolymer with PVOH as protective colloid. The specific chemical composition of the polymer allows coalescence of the redispersed polymer at low temperatures and provides good adhesion to cementitious substrates. ORP 6072 MP is used to modify mixtures containing hydraulic binders. Due to its particular chemical / physical composition, ORP 6072 MP improves adhesion, flexibility and water resistance of mortars containing hydraulic binders such as cement, gypsum or lime. Especially after heat aging and water immersion conditions ORP 6072 MP provides excellent performance. ORP 7085 HM is a redispersible powder produced by drying an emulsion of VAM / Acrylic copolymer with PvOH as protective colloid. The specific chemical composition of the polymer allows coalescence of the redispersed polymer at low temperatures and provides good adhesion to cementitious substrates. 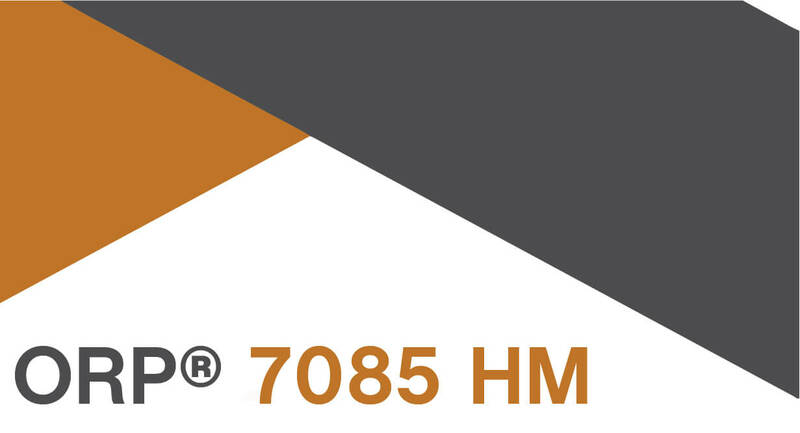 ORP 7085 HM is used to modify mixtures containing hydraulic binders. Due to its particular chemical / physical composition, ORP 7085 HM improves adhesion, flexibility and water resistance of mortars containing hydraulic binders such as cement, gypsum or lime. ORP Hydroflex 64 is a redispersible powder produced by drying an emulsion of Vinyl Acetate / Vinyl Versatate / Acrylic terpolymer with PVOH as protective colloid. 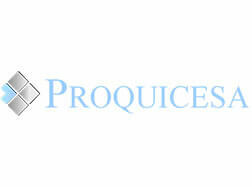 The specific chemical composition of the polymer allows coalescence of the redispersed polymer at low temperatures and provides good adhesion on mineral substrates. ORP Hydroflex 64 is used to modify mixtures containing hydraulic binders. Due to its particular chemical / physical composition, ORP Hydroflex 64 improves adhesion, flexibility, hydrophobicity and water resistance of mortars containing hydraulic binders such as cement, gypsum or lime. 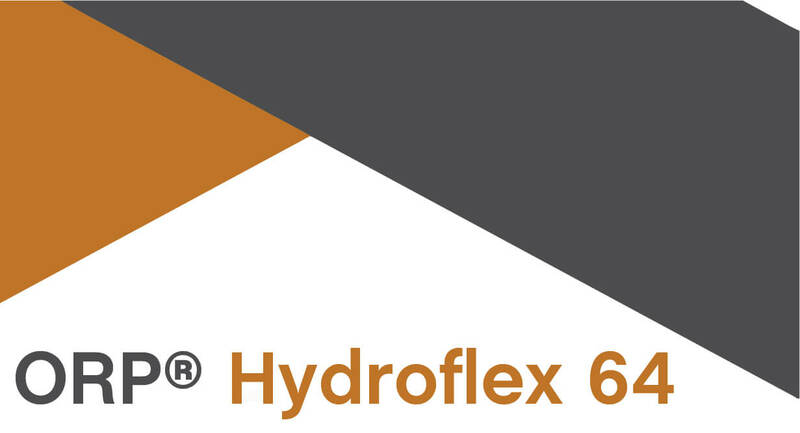 Especially because of the flexible nature, ORP Hydroflex 64 performs very well in transverse deformation conditions. ORP 7365 HP is a redispersible powder produced by drying an emulsion of Vinyl Acetate / Acrylic copolymer with PVOH as protective colloid. The specific chemical composition of the polymer allows coalescence of the redispersed polymer at low temperatures and provides good adhesion to cementitious substrates. ORP 7365 HP is used to modify mixtures containing hydraulic binders. Due to its particular chemical / physical composition, ORP 7365 HP improves adhesion, abrasion resistance,flexibility and water resistance of mortars containing hydraulic binders such as cement, gypsum or lime. Especially in the systems that require water resistance, flexibility and abrasion resistance at the same time ORP 7365 HP provides excellent performance. ORP 5377 HP is a redispersible powder produced by drying an emulsion of Vinyl Acetate / Vinyl Versatate copolymer with PVOH as protective colloid. The specific chemical composition of the polymer allows coalescence of the redispersed polymer at low temperatures and provides good adhesion to cementitious substrates. ORP 5377 HP is used to modify mixtures containing hydraulic binders. Due to its particular chemical / physical composition, ORP 5377 HP improves adhesion, abrasion resistance,flexibility and water resistance of mortars containing hydraulic binders such as cement, gypsum or lime. Especially for water repellency, abrasion resistance and mechanical performance tests after water immerison, ORP 5377 HP provides excellent performance. ORP 7680 SL is a redispersible powder produced by drying an emulsion of Vinyl Acetate / Acrylic copolymer with PVOH as protective colloid. The specific chemical composition of the polymer allows coalescence of the redispersed polymer at low temperatures and provides good adhesion to cementitious substrates. ORP 7680 SL is used to modify mixtures containing hydraulic binders. Due to its particular chemical / physical composition, ORP 7680 SL improves adhesion, flexibility and water resistance of mortars containing hydraulic binders such as cement, gypsum or lime. Especially in self levelling mortar formulations ORP 7680 SL provides excellent abrasion resistance, flexural & compressive stength and good leveling. ORP Thermobond 74 is a redispersible powder produced by drying an emulsion of Vinyl Acrylic copolymer with PVOH as protective colloid. The specific chemical composition of the polymer allows coalescence of the redispersed polymer at low temperatures and provides good adhesion on mineral substrates. 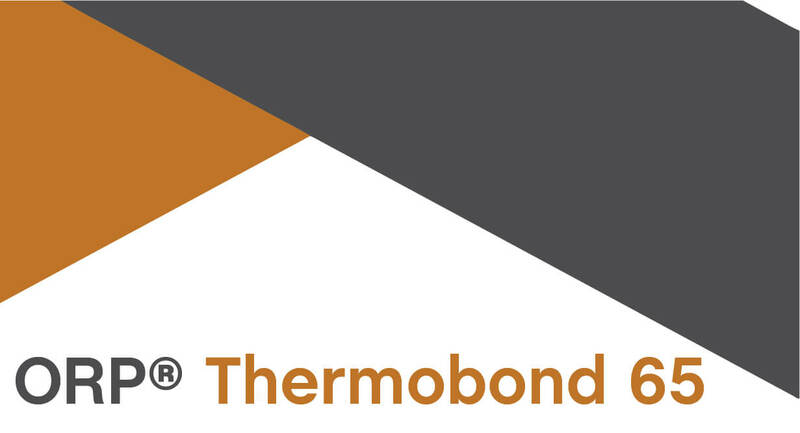 ORP Thermobond 74 is used to modify mixtures containing hydraulic binders. Due to its particular chemical / physical composition, ORP Thermobond 74 improves adhesion, flexibility and water resistance of mortars containing hydraulic binders such as cement, gypsum or lime. Especially because of the flexible nature, ORP Thermobond 74 performs very well in transverse deformation conditions. ORP Thermobond 65 is a redispersible powder produced by drying an emulsion of Vinyl Acetate / Vinyl Versatate / Acrylic terpolymer with PVOH as protective colloid. The specific chemical composition of the polymer allows coalescence of the redispersed polymer at low temperatures and provides good adhesion on mineral substrates. ORP Thermobond 65 is used to modify mixtures containing hydraulic binders. Due to its particular chemical / physical composition, ORP Thermobond 65 improves adhesion, flexibility and water resistance of mortars containing hydraulic binders such as cement, gypsum or lime. Especially because of the flexible nature ORP Thermobond 65 performs very well in transverse deformation conditions.